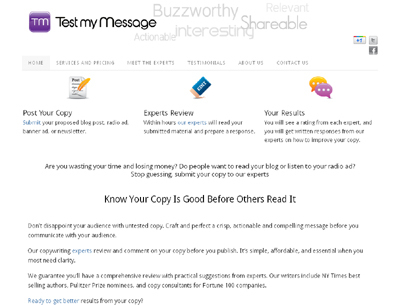 Our goal is to help marketers get feedback on their message from a variety of experts. Instead of hiring just one consultant, We allow our community of marketing experts to review your marketing piece and give you valuable feedback that can be implemented immediately. Our community of experts gives you several different viewpoints for the fraction of the price of a marketing consultant.